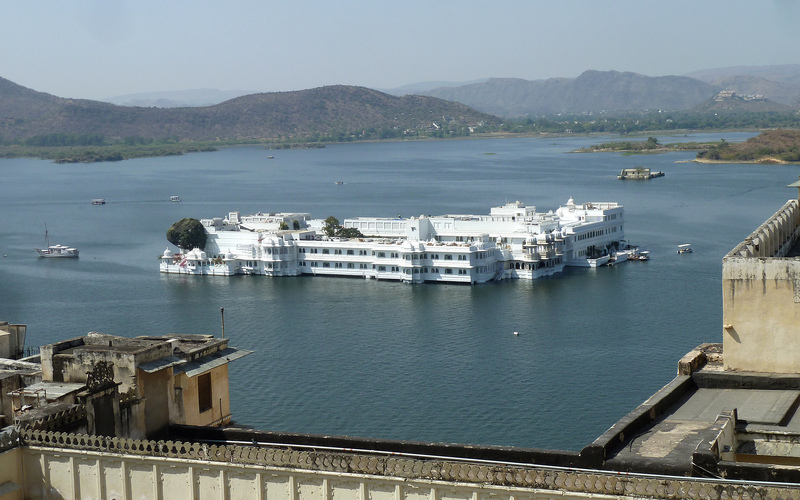 Udaipur is a new, or comparatively new town, being founded only in 1559. The local ruler of the Mewar state wanted to escape from his previous town on the plain and chose a site in the hills, where the heavy cavalry of the Moguls could not operate. 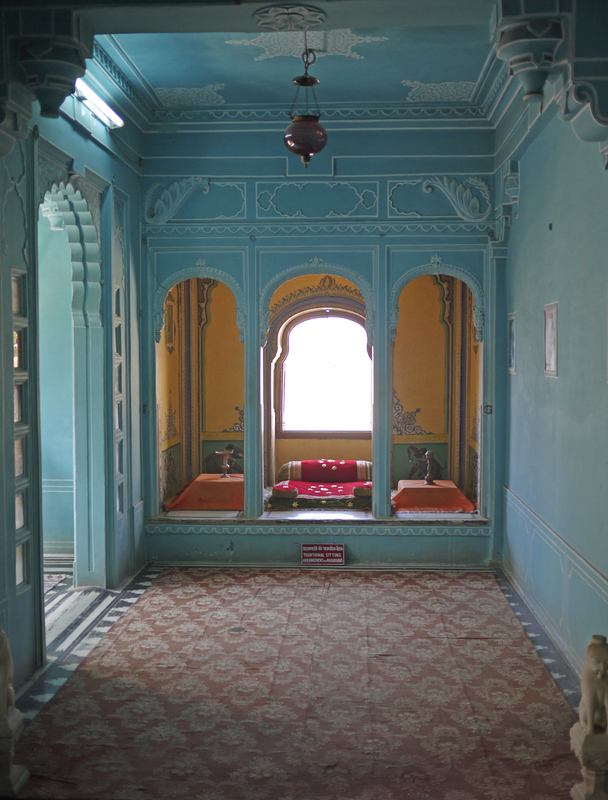 On a hill at the centre of the town was his Palace, where his descendents still live, and who in fact still own it. 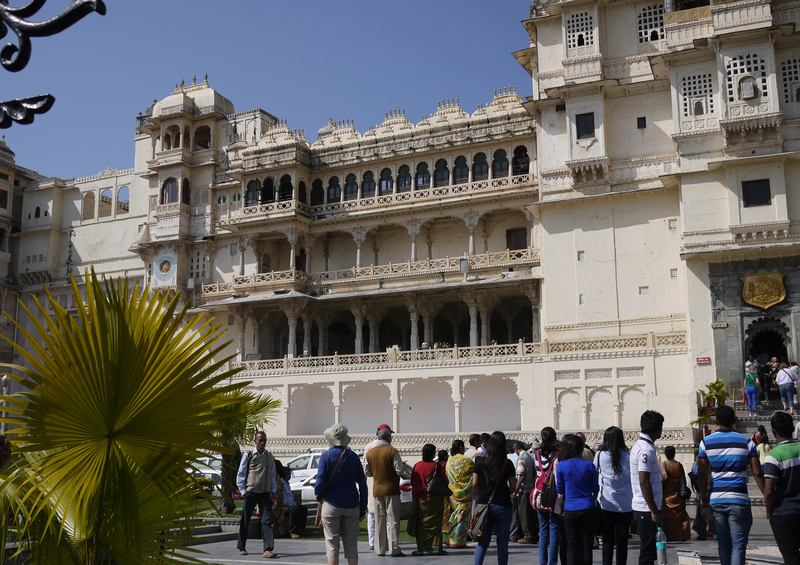 Though they lost their royal status at Independence, they retained the Palace and the present head of the family is the 76th ‘Custodian’ of the House of Mewar and the palace has become part a museum for tourists, and part an upmarket hotel. 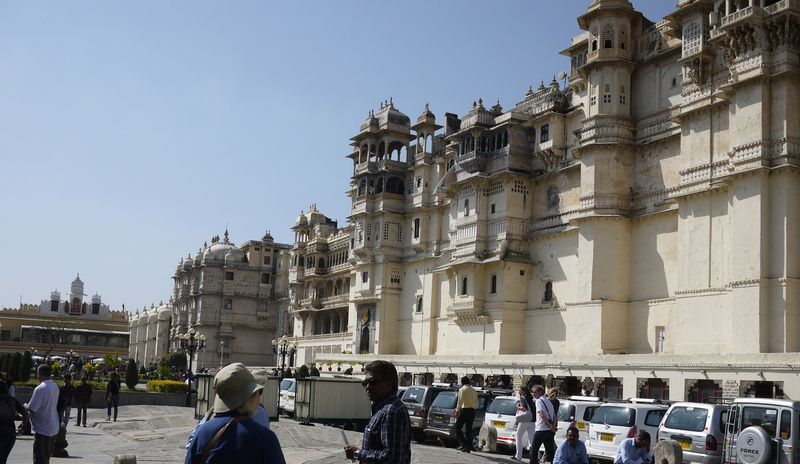 There are 11 separate palaces in the complex, which was built up and added to over time. Some are now open to visitors, but other parts have been made into a luxury hotel and offices. However, it is very much a Rajput Palace, and Rajput palaces are very different from Mogul palaces. Whereas Mogul palaces tend to be big, with large rooms and large courtyards where audiences could take place with the ruler sitting on an elaborate throne, Rajput palaces were more intimate with numerous small, sometimes very gaudily decorated rooms, linked by zigzag corridors to avoid a surprise attack. 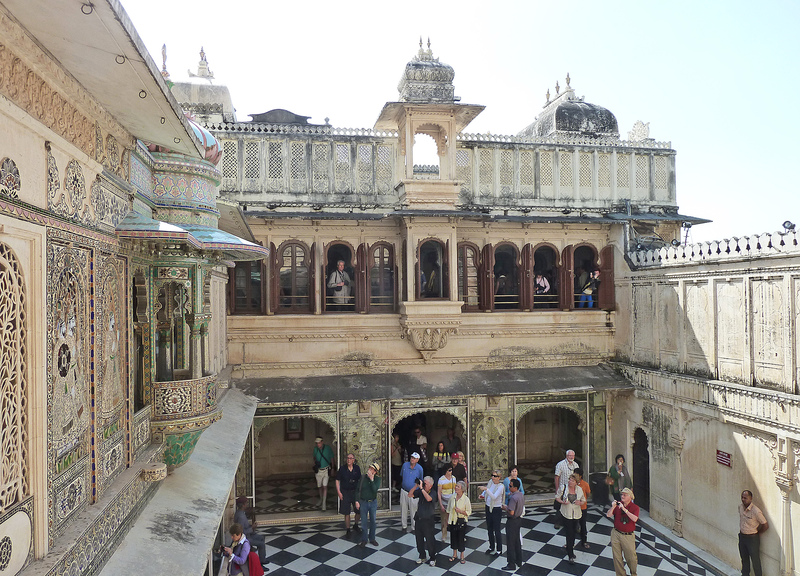 One of the internal courtyards in the Palace, surrounded by elaborately decorated rooms. 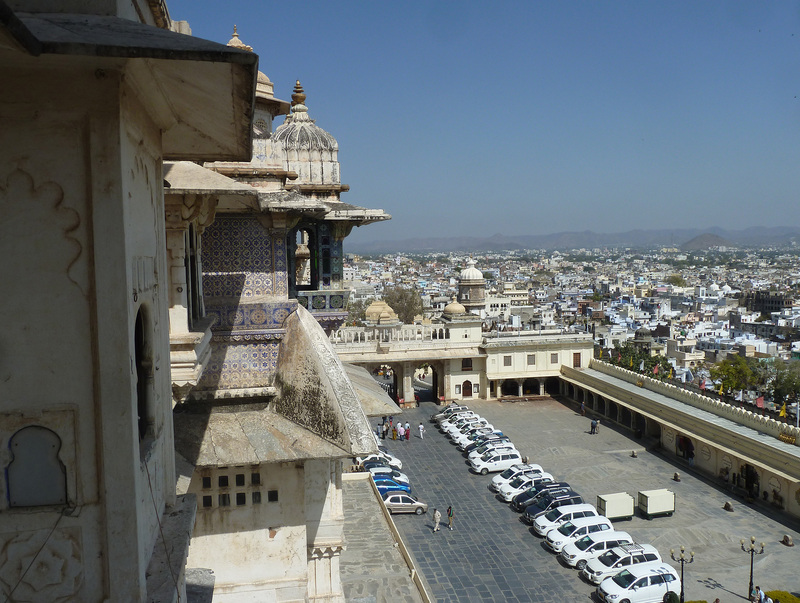 View from one of the upper rooms in the Palace looking out over the courtyard with beyond it the city of Udaipur. 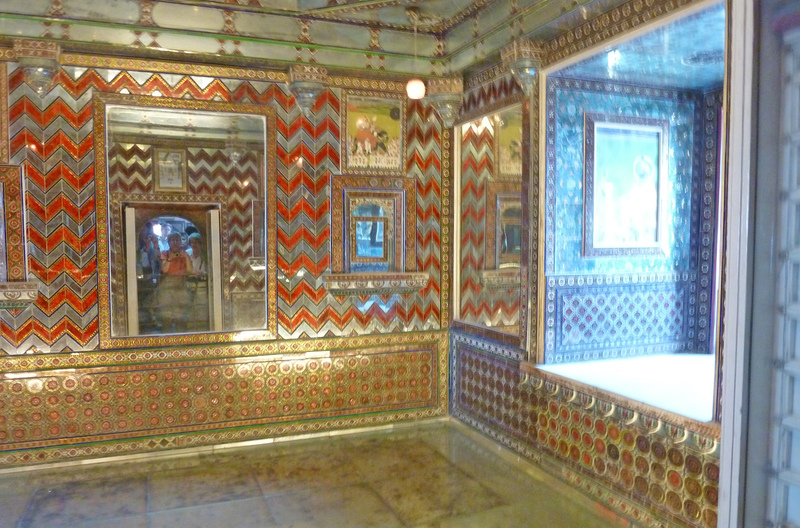 It is a very different concept to the great palaces at Delhi and Agra but one that is very popular with visitors. And here is the summer Palace, on an island in the lake. In the summer it tends to get very hot, so it makes sense to build a Palace out in the middle of a lake.